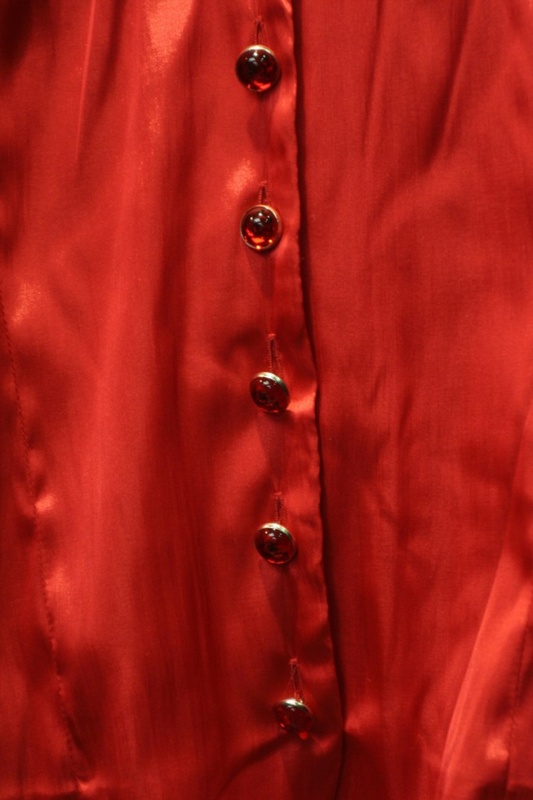 Silk fabric has been known since antiquity. Their products never go out of fashion. Silk dress is appropriate in the office, at the beach or in a nightclub. The material itself is so beautiful that even the most simple style looks rich and elegant. Silk soft to the touch and useful for the body. However, the sewing of it has some features that need to be considered. Select the style. Better if it will be without a large number of small parts. Choose the right pattern. In principle, the stitching of the silk, everything is possible, but it is better to stay on the model developed specifically for this material. Before you start to cut, soak fabric in warm water. It is best to pour water into the tub up to about half. It should not be hot, but a little warm. Lower back silk, not crumpling it. Play it smooth the canvas, layer upon layer. Leave it for 2-3 hours. Remove the cloth and hang it straight to dry. It is better to not use a rope and something solid, like a rack over the bathtub or the ledge. Fold the silk in half and put the pattern to the fabric as you normally would. It is best to draw a sharpened piece of soap or soft chalk. The pencil is not very suitable for silk, he paints a bad thing. Don't forget about the seam, it is better to do a little more than usual. Cut out parts with scissors "zigzag". That is why more allowances. A silk fabric is very much showered. Serrated scissors reduce this feature to a minimum. Sweeps details. The order of sewing is indicated in many magazines, and better to follow. For smachivaniya use only silk thread No. 65, and better if they are of Russian production. These threads do not leave on the cloth no trace. Choose a color contrast. Try on the product very carefully and meticulously. The silk is extremely awkward to stab, to puncture, which will not fix anything. So try to do just fine. Sostrochite details. The machine must be a sharp thin needle 70 or 75. For grinding instead of silk thread is best to take polyester. You can sew the same Russian silk, but they are very much curl. The annexation of parts don't forget to resaturate seams. Regulator of iron put in the "iron" or on the appropriate temperature. Treat the seams with a serger. Synthetic thread will help you out in this case, they are twisted and torn much less silk. What should not be used under any circumstances — because it is cotton thread. For delicate silk they are too rough. Do not sew from silk after you perform all sorts of chores. Hands should be soft, free of burrs and rough edges, otherwise the fibers will cling.